Southwest Stand - with leather tooling and concho. Pictured with saddle. - Hammered Horse Products, L.L.C. 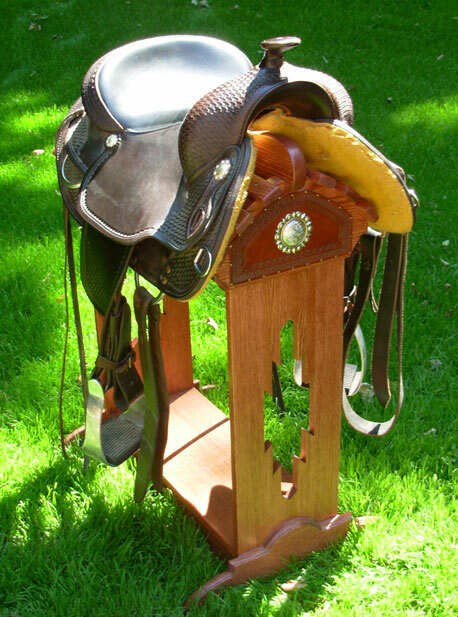 Southwest Stand - with leather tooling and concho. Pictured with saddle.